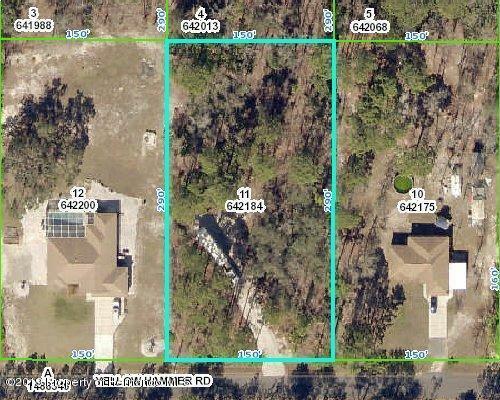 Nice level .99 acre lot on a Paved Road! Located in an area of newer built homes. Close to US 19. Country living yet just a short distance to shopping, dining and other local amenities. Enjoy the nearby Gulf of Mexico for fishing, swimming or viewing our gorgeous West Coast sunsets! Great location to build your dream home! Directions: Commercial Way (US 19) to right on Yellow Hammer Rd. Lot on left.